How well does chiropractic care provide neck and back pain relief? Very well, as a matter of fact. There are an increasing number of studies that confirm the effectiveness of chiropractic care in the treatment of neck and back pain relief. According to a report published in the September 2011 issue of Consumer Reports, chiropractic treatment outperformed all other methods for back pain relief. Of those reporting that a treatment “helped a lot” in obtaining back pain relief, 65% listed chiropractic (the highest rated treatment) as the most effective, as opposed to 53% for prescription medication. Other natural therapies were also useful (deep tissue massage helped 51%, yoga/pilates–49%, acupuncture–41%), but no other treatment approached the effectiveness of chiropractic care for back pain relief. Similar results were found for the treatment of neck pain (chiropractic–64% vs prescription medication–49%). Results were based on the Consumer Reports National Research Center’s 2010 Annual Questionnaire, analyzed by researchers from the Natural Medicines Comprehensive Database. If you have never considered going to a chiropractor to find neck or back pain relief, perhaps it is time you should! At BodyWise Chiropractic Tempe we use a unique combination of Chiropractic Adjustments, Fascial Stretch Therapy, Active Release Technique and the Webster Technique to successfully treat a variety of problems, including neck and back pain. Whether you’re looking for relief from severe chronic pain, searching for ways to beat the simple aches and pains of day-to-day living, or seeking optimal health and peak performance, you have come to the right place. 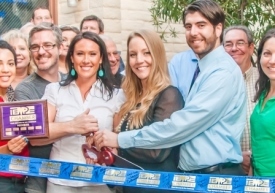 Welcome to BodyWise Chiropractic. 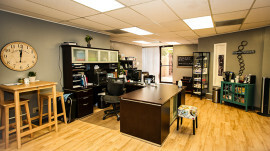 If you are looking for a new Tempe chiropractor for back pain relief, give us a call. We’ll help you see how simple and affordable it can be to get back into and maintain optimal health so you can truly be free to Choose Your Life. 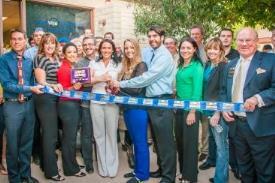 Visit BodyWise Chiropractic Tempe, today!